Enclosure is the term usually used to describe the major changes in land ownership and rights that took place in the later eighteenth and nineteenth centuries in the agricultural areas of England. In this process the ancient system of arable farming in shared open fields and the shared use of common land was replaced by a system which divided all the land of a village into enclosed areas (closes). Whereas under the old system decisions about the management of the open fields and commons had been communal, in the new system owners could make their own decisions about managing their enclosed plots. The change had huge social consequences. It generally benefited the larger landowners to the detriment of the small peasant farmer. The causes, process and consequences of these changes are much discussed and disputed by economic and social historians. 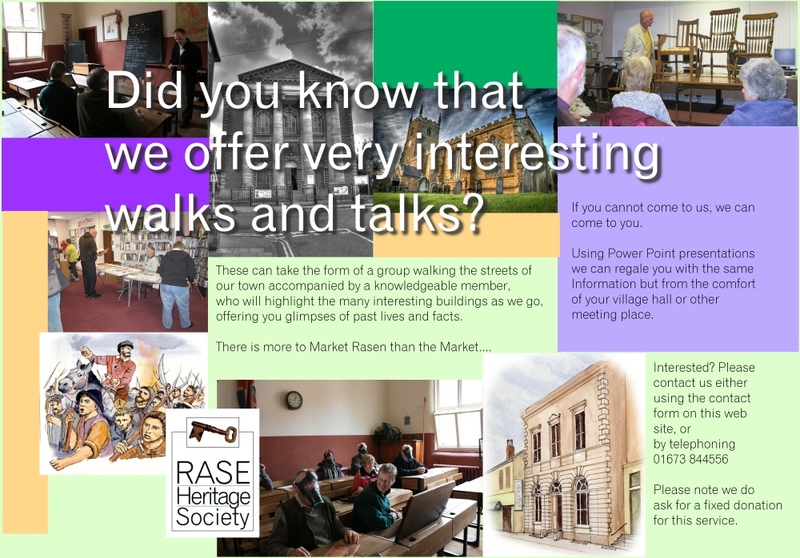 These changes took place in the Rase district in the later eighteenth and early nineteenth century. 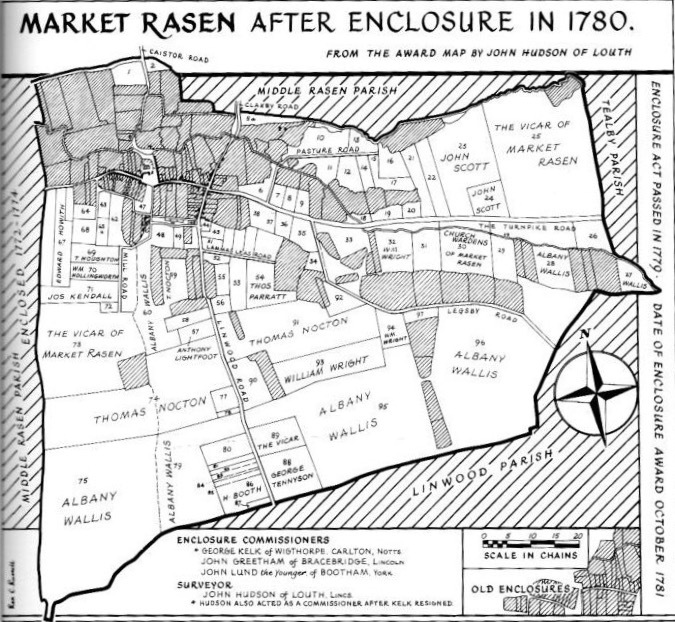 The parish of Middle Rasen was the first to be enclosed in 1772-1774, Market Rasen parish followed in 1779-1781 and West Rasen parish in 1803-1804. The character of the district changed with the enclosures. 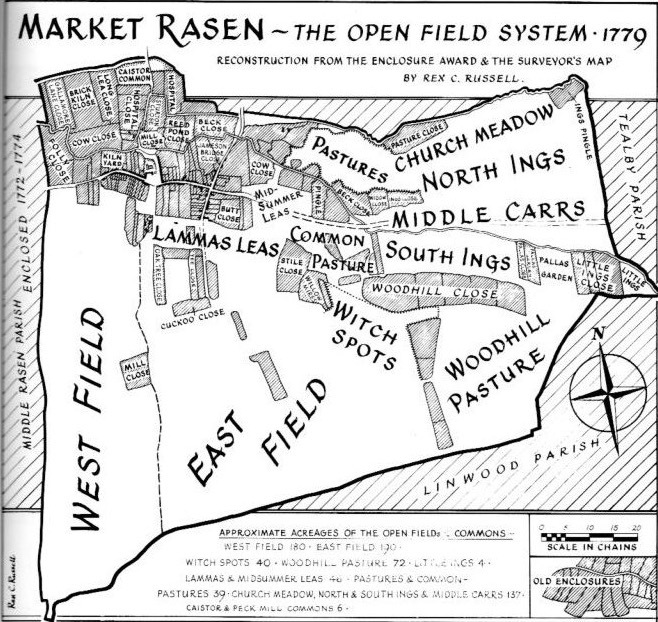 Under the old ‘open field system’ villages usually had three open fields cultivated in rotation though the parish of Market Rasen – the smallest of the Rasen villages – had only two open fields. There were also large stretches of shared common land used for the grazing of animals. The common land was enclosed along with the arable land. The process of enclosure, putting fences and hedges around each owner’s land, is responsible for the way the countryside in this district, as in much of the country, looks today, criss-crossed by hedges. It is also responsible for the line of many roads which were marked out at the time of enclosure, hence the right-angled bends in roads of the district as they go around enclosed fields. Along with the look of the countryside, the lives of most of the people of the district would have been changed by enclosure. It was a time of huge social and economic change in the district. Rex and Eleanor Russell also wrote a number of books on individual enclosures including those of this district. These are available through local libraries.